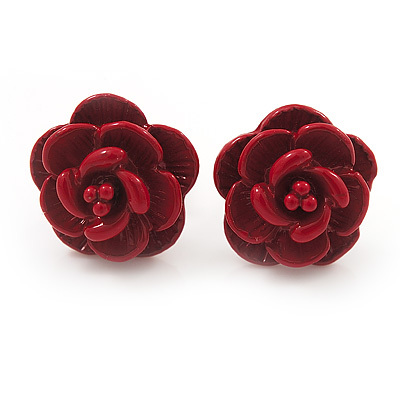 Sweeten your style with these romantic Tiny Red 'Rose' Stud Earrings. Featuring a rose shaped design, crafted in silver plated metal and decorated with red enamel detailing. The earrings measure about 10mm in diameter and fasten with post backings to hold your earrings securely in place.